What is really needed to start cooking at home. With so many gadgets out there, it’s tough to decide what is really needed to cook at home. Day-to-day I reach for the simplest contraptions. A sturdy garlic press. A cheap zester from Ikea. A smattering of pots and pans. When my boyfriend and I decided to take better care of our diet, I didn’t have a clue where to start. * Cutting board – I traded my slew of plastic boards for a pretty bamboo one. They’re durable, eco-friendly and less prone to yucky build up. * Blender – I throw in bananas, almond milk, frozen berries and greens for an easy breakfast or post workout snack. Also works for pureeing soups and sauces. * Colander – I use mine everyday for washing produce or draining pastas and grains. Can also double as a steamer by setting in a pot. * Fry pan – I prefer the nonstick variety for easy cleanup. Sauté veggies (even frozen ones) on medium-high heat with a dash of seasoning, tamari or balsamic and they’ll taste better than the boiled variety. * Garlic press – The best way to add a hit of flavor is fresh pressed garlic. Sauté a few cloves in olive oil with a dash of red pepper flakes for cooking…everything. * Good knife – A necessary investment piece for any kitchen. Also great to have on hand for surprise ninja attacks. * Sauce pot – A must-have for cooking grains, pastas, soups and sauces. I also use it as a mixing bowl and to store leftovers. Simply grab from the fridge and reheat on the stovetop. * Skillet – A staple for flipping Sunday pancakes, grilling sandwiches, cooking fillets, and warming up tortillas. * Zester – I zest lemons, limes, oranges and carrots to brighten salads, wraps, and even baked goods. Try baking bread crumbs with lemon zest and a bit of olive oil, and sprinkle atop pasta for extra zing. Find additional accessories at Home Goods or Ikea – spatula, whisk, wooden spoons, casserole dish, pie pan, kitchen timer, baking sheet, mixing bowls, measuring cups and spoons. 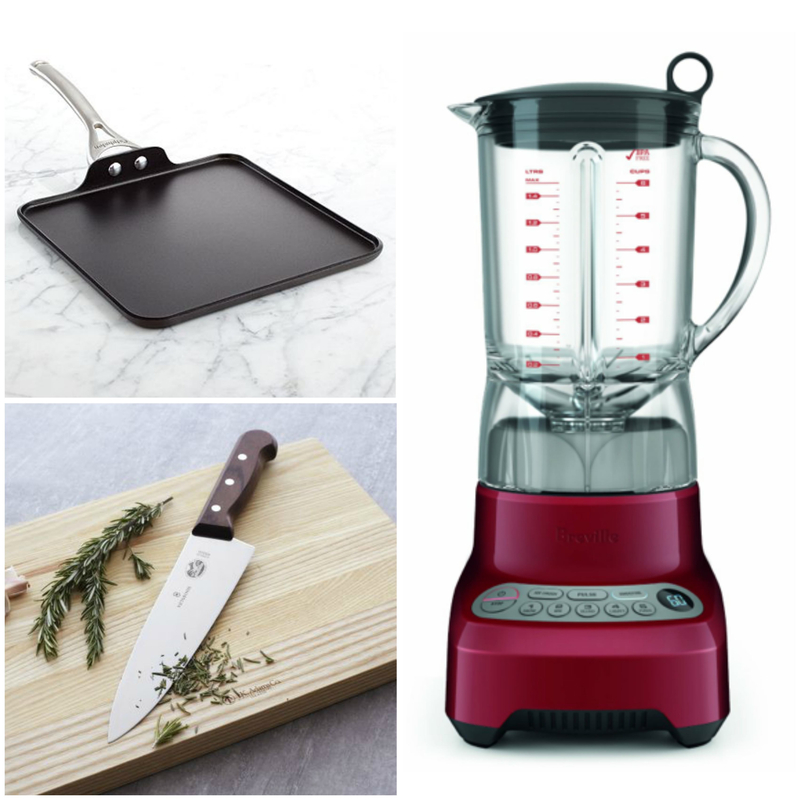 What are your must-have pieces of cooking equipment? P.S. More kitchen round-ups here and here.